In 2016, the Trades Union Congress (TUC) co-ordinated a 10-month campaign against the Trade Union Bill, which it claimed threatened the right of workers to strike. Tackling stereotypes, mobilising MPs across the political spectrum and targeted campaigning were key reasons behind the success of the campaign. Industry experts duly awarded the Trades Union Congress the PR Week Award 2016 for best public affairs campaign, praising it as “an outstanding campaign, delivered at pace with an imaginative approach”. Based on what we learned from the experience, here’s what it takes to assemble a successful public awareness campaign. 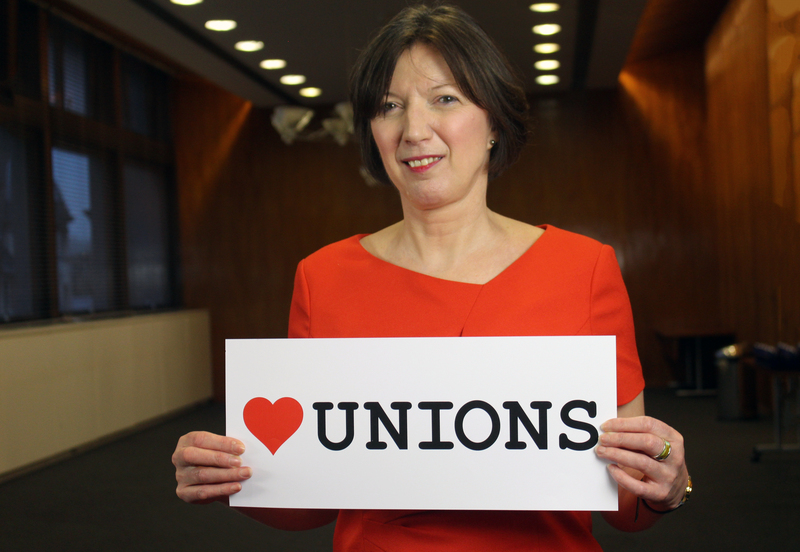 The TUC’s ultimate goal was to force the government to drop the trade union bill or defeat it. Overthrowing the bill was always going to be a tall order, so building on political intelligence, we also identified a secondary aim: disrupting and delaying the bill’s reach by securing concessions and amendments to limit its scope. With this secondary aim in mind, we could adjust our tactics, targets and messages for either of these outcomes. The result was significant – the bill suffered a bruising defeat in the House of Lords and the final scope of the legislation was hugely reduced. The TUC’s 10-month campaign mirrored the bill’s parliamentary passage. We developed a coordinated lobbying strategy with target parliamentarians. We also sought Conservative MPs and peers and crossbench peers with concerns about the bill and supported them to intervene effectively. Unions shared intelligence about MPs’ and peers’ positions and the TUC supported union staff with briefings. A key campaign tactic was making sure considerable attention was drawn to the bill’s proposals and its impact outside parliament, to make it harder for MPs to vote them through without proper debate. Movement-wide actions were developed at key moments, including the largest ever parliamentary lobby of several thousand trade union members, which took place as the bill received its second reading, and a ‘heartunions’ awareness week celebrating the positive contributions of unions in the bill’s final stage. Supportive statements – some of which were actively coordinated and some quietly encouraged – from unexpected allies helped to reinforce how much opposition there was to the bill across the political spectrum. The first minister of Scotland Nicola Sturgeon criticised the bill’s attack on workers fundamental rights to organise. Employer organisations also put concerns on record, such as how the bill would make it harder for public sector union representatives to carry out their work in areas like health and safety. Human rights groups including Amnesty International UK attracted front page media coverage for a joint statement highlighting concerns over civil liberties. Public opinion research identified women aged under 35 as the most responsive public audience to the principle of protecting the fundamental right to strike and they were particularly concerned about the threat to it. This idea was turned into a major public advertising campaign highlighting the stories of women not typically seen as union members, including a fire fighter, a midwife and a cinema worker who felt they had no choice but to strike to protect their rights. A series of well-received adverts, both online and offline, helped amplify the message across social media and on political websites including Conservative Home. The speed of the bill’s passage required quick-fire responses to unexpected opportunities. When former business secretary Vince Cable and TUC general secretary Frances O’Grady released a joint statement calling for the strengthening – rather than disruption – of industrial relations, media interest was high. We ramped up coverage, taking advantage of the moment with a series of TV station visits to maximise coverage of the arguments in favour of good industrial relations and why they were being fundamentally threatened by the government’s proposals. The leader of the opposition, Jeremy Corbyn created a media buzz when he wore a heartunions badge during a parliamentary session. Within minutes, we responded on social media, offering badges as campaign giveaways. The campaign’s success was dependant on widespread support from grassroots members in schools, hospitals, factories and offices up and down the country. Union members were kept up to speed with in-depth issue briefings on key aspects of the bill and weekly news updates to keep the campaign current. A flash mob featuring union members telling stories of why they had taken the difficult decision to strike, took place unannounced at Congress, the biggest annual gathering of union members. This got members across the movement actively talking about the campaign. Crucially, Frances O’Grady and individual union leaders led the movement from the front throughout, leaving six million members in no uncertainty as to the campaign’s urgency. No one goes on strike without a good reason. Taking away the right to strike would tilt the balance in the workplace too far towards employers, denying workers the opportunity to properly defend their jobs or pay, stand up for decent services and safety at work. I’m proud of this campaign, which led to the government’s defeat on three key votes in the House of Lords. We helped to secure substantial amendments to the bill on electronic balloting, facility time and the use of funds by unions for political campaigning. I’m also grateful to all the trade union members across the country who campaigned tirelessly against the bill and saw its worst excesses curbed.